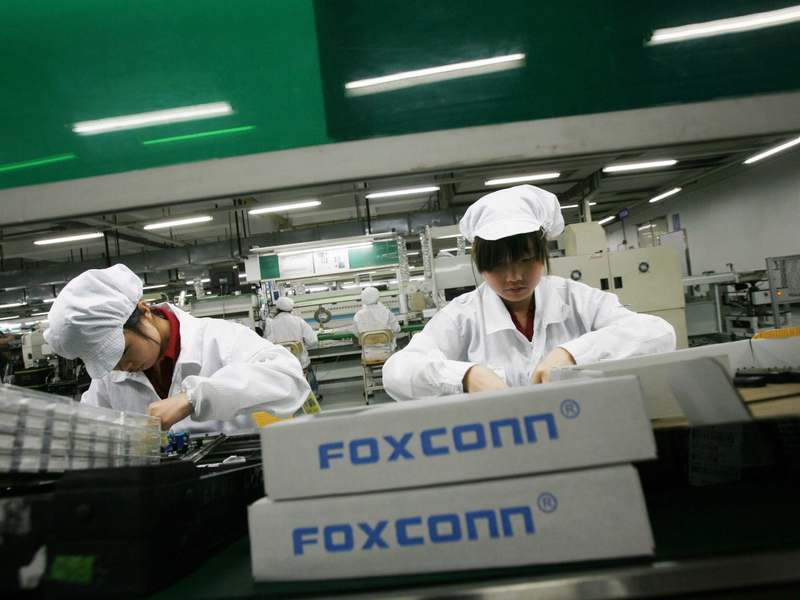 In brief: Foxconn, the biggest assembler of Apple’s handsets, is reacting to declining smartphone production by axing thousands of seasonal contract workers earlier than normal. Additionally, the $10 billion manufacturing plant the company is building in Mount Pleasant, Wisconsin, isn’t creating jobs as quickly as expected. The Nikkei Asian Review reports that 50,000 seasonal workers have been let go from Foxconn’s Zhengzhou plant since October. Staff’s contracts are usually renewed every month from August until mid- to late January, which is when iPhone production slows. While the number of people let go isn’t necessarily more than usual, they have been axed earlier than in previous years. "It's quite different this year to ask assembly line workers to leave before the year-end," said one source. The news follows waning demand for the latest iPhones, which led to Tim Cook’s recent warning that Apple’s revenue will be lower than predicted for the last quarter. But it’s not just Apple that is feeling the pinch. Samsung missed analysts’ expectations and saw its first quarterly profit decline in two years during Q4 2018. With the market suffering, some believe that handset production levels in the first three months of this year will drop to their lowest levels since 2013. The Nikkei adds that Apple’s second-largest iPhone assembler, Pegatron, started canceling monthly contracts back in November, which was also earlier than usual. In other Foxconn news, the firm is also experiencing problems at its Wisconsin plant. The Wall Street Journal reports that the company created 178 full-time jobs last year, falling short of the 260 minimum it needed to claim state-job creation tax credits. It could still earn the benefits if it hires over 2,080 people in 2019. Foxconn said 13,000 jobs would eventually come to the plant, something it remains committed to, but warned that “we need to have the agility to adapt to a range of factors, including global economic conditions.” The firm blames global economic conditions and a tight labor market for the slow initial hiring.